WASHINGTON – In what seems to be a growing diplomatic spat, the United States State Department announced it was cancelling the diplomatic visa of Bernardo Alvarez, the Venezuelan ambassador here in Washington, Dec. 29. Alvarez was not in Washington when the announcement was made, but the cancellation of the diplomatic visa has the same effect as if he had been expelled. This does not, however, amount to a break in diplomatic relations between the two countries. The action was evidently taken in response to Venezuela’s refusal to accept Larry Palmer as the new U.S. ambassador to Venezuela earlier this year. 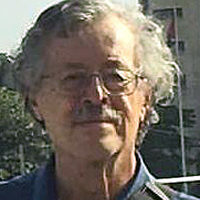 Venezuela had initially not objected to Palmer, but when he answered questions at Senate confirmation hearings, he made statements about Venezuela’s left wing government to which President Hugo Chavez took strong exception. Among his comments were two highly volatile analyses: the Venezuelan armed forces were demoralized, and the Venezuelan government had ties to the FARC rebels in Colombia. Palmer made these comments to the Senate Foreign Relations Committee. Regarding the testimony on the Venezuelan military, it suggests that conversations had been going on with disaffected military officers in Venezuela. This sets alarm bells ringing because in 2002, with collusion from the U.S. embassy, the Venezuelan right-wing tried to overthrow President Chavez in a coup which, had it succeeded, could have cost him his life. The Venezuelan people rallied and saved their elected president and democracy. The other comment regarding alleged ties to FARC rebels, stokes the fires of a tense relationship between Venezuela and Colombia, one that has been red hot for several years. 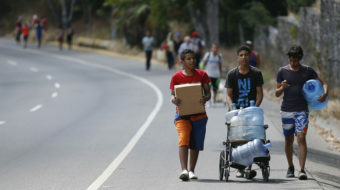 The Venezuelans see the effort to link them to the FARC guerillas as part of a plot to destabilize and isolate Venezuela. So Palmer’s statements and associations hit two particularly sensitive spots, and apparently Venezuela wanted to send a message to Washington. 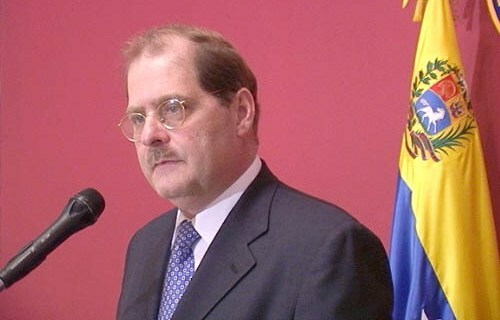 The left in Latin America, including in Venezuela, also suspects that Palmer may have especially strong ties to the U.S. national security establishment, because he has been the president of the Inter American Foundation (IAF) since 2005. The brain child of the late anti-communist U.S. Representative Dante Fascell, D-Florida, IAF is an autonomous U.S. government agency in charge of channeling funds to grassroots organizations in poor countries, a role that makes it highly suspect among the Latin American left particularly, because so often in the past such funds have gone to groups that have as their purpose the destabilization of left-wing governments. Writing in the left-wing online Honduran newspaper “El Libertador”, commentator Jean-Guy Allard says that the Venezuelan organization “Primero Justicia” (Justice First) has received $115,000 from the IAF. One of the leaders of Primero Justicia, Alejandro Peña Esclusa, is currently under arrest for possession of explosives, after having been fingered by Francisco Chavez Abarca, a Salvadoran citizen who was just sentenced to 30 years in prison in Cuba because of his involvement in terrorist attacks in that country. Palmer was also U.S. ambassador in Honduras from 2002 to 2005, under the George W. Bush administration, and has held other diplomatic posts. He was nominated by President Obama to the Caracas ambassadorship on June 28, but rejected by the Venezuelan government in September after the remarks made at the confirmation hearings. The Senate has not yet voted on his appointment. The Venezuelan right has also been whipping up a propaganda offensive in the U.S. about an enabling law passed by the Venezuelan Congress, which allows the president to rule by decree on a number of topics for a period of 18 months. In elections earlier in 2010, Chavez’s ruling United Socialist Party of Venezuela and its allies lost some ground in parliamentary elections, though they retain the majority. In December, severe storms and flooding damaged a lot of houses and infrastructure in the country. The enabling law allows the president to fast track housing and infrastructural projects, land reform and other matters that the opposition had hoped to block when the new Congress is inaugurated on January 5.